#29 - I found a similar test that includes a WD Caviar drive and from what I can tell it is not exactly lagging. Are you going to do some more HDD/NCQ testing when we get more dual core CPU's to test in multi-taking situations? The recent article on the Pentium D shows the benefits of NCQ combined with a dual core CPU (the single core CPU's didn't really show any improvement), so are you going to go more in depth hopefully soon (after you can publish results of AMD X2 CPU's)? #20 - Thats easy. Ignoring the Raptor they are lagging behind on the consumer front compared to others. Last I checked they still charge a fair amount extra for a drive with a FDB motor. The performance just hasnt been up to par either. The days when the "Special Edition" drives were great are gone. Purav, you did not explain why you chose to test with an nForce chipset over a chipset from intel. For one thing, nVidia's ATA controllers/drivers have a fairly poor track record. I still remember the multitude of problems that cropped up when people installed nVidia ATA drivers on their nForce2 motherboards. I run my nForce2-based computer with MS ATA drivers because I am too afraid that the nVidia drivers will wreck my system (that, and ExactAudioCopy does not recognize any optical drives with the nVidia drivers installed). Admittedly, these issues were driver-related, but then nVidia's checkered past does not boost my confidence in their ability to provide an nForce4 driver that actually works according to spec. Maybe we're seeing no boost with NCQ because of poor implementation, who knows. Testing with just one platform will not reveal such issues. 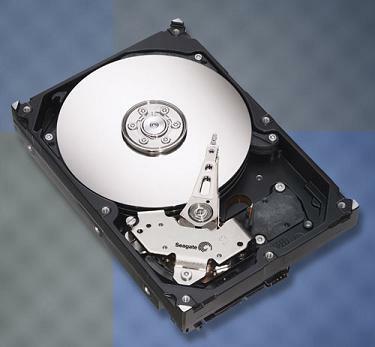 "It's mentioned in the article that all of the 7200.8 drives use a 3x133gb platter configuration." It makes a lot more sense than the "leftover space" theorem. With NCQ on u get worst results than with it off. This may be good at servers, but no good at desktop. I’ll say its bad implemented but, all drivers seem to suffer.